While I use my slow-cooker all year ’round, I get more excited about breaking it out in the fall + winter. The cooler weather makes me crave all the wonderfully hearty soups, stews, + braised meats that my beloved crock-pot is so good at making. So, when I wanted to try a new meal a couple weeks ago, I decided to make this Slow-Cooker Barbacoa Beef that I’d bookmarked ages ago. Y’all. This was SOOO good, so amazingly easy to make, + so versatile. You wind up with seriously fall-apart tender beef that is packed with tons of awesome, spicy flavor. It does make a lot of food, so invite some friends over to share (it is perfect for football-watchin’! ), or get ready for some fab leftovers. The first night, we served it (as pictured) with small corn tortillas + made tacos. The second day, we used large flour tortillas, added rice + beans, + made scrumptious burritos. And for days after that, I piled the beef into a bowl with leftover beans, rice, cheese, + salsa for burrito bowls. And we still had enough left over that I froze a good portion to use for meals in the future. So, if you’re looking for a fabulous slow-cooker meal that results in some seriously amazing food to feed a crowd (or give you lots of leftovers), you *must* give this recipe a try! Put the following ingredients into a food processor + pulse until well-combined: chipotle peppers, cilantro, red onion, garlic, clove, salt, lime juice, + cider vinegar. Pour that sauce into the slow-cooker, then place the brisket on top of the sauce. (Cut my brisket in 2-3 pieces, if needed, so it fits better in the slow cooker.) Add enough chicken or beef stock to cover the meat + place bay leaves on top. Use tongs to move the meat around gently to combine everything + put the lid on. Cook on HIGH for 4 hours, then turn slow-cooker to WARM + let sit for 6 to 8 hours. When the meat is fully cooked + fall-apart tender, remove from slow cooker + place on rimmed baking sheet. Use two forks to pull the meat apart. Discard the fat, if desired. Place shredded beef in large bowl + ladle about 1-2 cups cooking liquid over the top. You want the meat to be sufficiently juicy, but not swimming in the liquid. Amy’s note: the remaining cooking liquid is a deliciously-spicy + flavorful beef broth. I highly recommend that you save it + use it to make a tasty noodle soup later in the week! Or freeze it for future use – you could use it in any recipe that calls for beef broth, but be warned, it does have a spicy kick! Serve the barbacoa beef with corn tortillas for making tacos or flour tortillas for making burritos. I recommend serving them chopped cilantro, onion, tomato, cheese, salsa + sour cream. YUM! I always associate my slow cooker with fall/winter. I really need to bust it out more often during the warmer months. This is some tender looking beef. Squirrel is going to love this. Pinned! I love a good slow cooker recipe – this looks like a must try! I also love using my slow cooker year round, but it’s definitely even better now that it’s FINALLY cooler out. Yay for slow cooker meals! I’m in slow cooker mode right now, too. Love the ones that are so versatile so you’re not eating the same meal over and over. 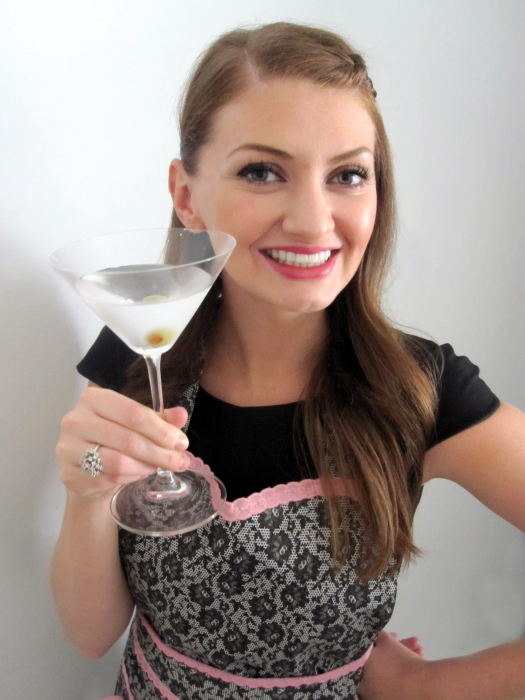 Amy, thank you for this recipe! I was looking for a slow cooker recipe using beef so I can make tacos. This is perfect! Yay and pinned! Fantastic! I hope you try it + love it. =) Do report back! Just the other day we went out for Mexican food and my husband fell in love with the restaurant’s barbacoa beef. Now I can make it at home for him, this sounds perfect for a lazy Sunday! Oh man! This beef sounds incredible and so versatile. I’m loving your slow cooker recipes. This looks delicious! I’m bookmarking this because you’re right, it’s that time of year and I love red meat. Recipe looks amazing. I love leftovers like that! So perfect to have on hand. I need more slow cooker winners like this. Wonderful, Tracey! I hope you both love it! I love slow cooker beef, and this one sounds great. I also love Mexicna food, so this just sounds perfect – and just the thing for a crowd. Thanks! 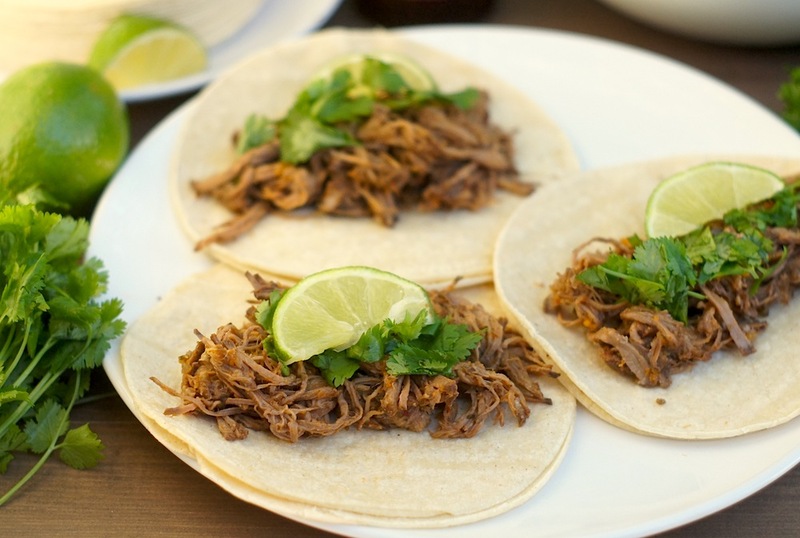 I LOVE using the slow cooker year-round, too and I LOVE all tacos. This looks really delicious and flavorful from all the chipotles in adobo. I’ve just been looking for more good slow cooker recipes! This one is perfect! Love breaking out the slow cooker about this time of year! Perfect recipe for it! YUM! I love slow cooker meals. These tacos look delicious! Burritos are my favorite , and i’m always looking for new ideas and recipes….Thanks for sharing. So you cooked the brisket overnight on warm? Then do you joust shred it and warm it up theat night? My husband hates food cooked in the crockpot . I’m trying to remedy that. Hi Karen, I actually did it all in one day rather than overnight as The Kitchn suggested. I started it at 6 AM, cooked it 4 hours on high (until 10 AM), then put it on WARM for 7 or so hours (until 5 PM), then shredded it + served it straightaway. I haven’t tried the overnight technique but yes, you’d shred it in the morning and then leave it in the crockpot to keep warm until you serve it, or you could just re-heat when you’re ready to serve it. Hope that helps! That sounds terrific. The burritos are making my mouth water! earlier this year I made barbacoa beef and ate atop salads…one of my favorite meals this year! totally trying in tortillas next time! I not only like this recipe, I really like all your notes for what to do with the leftover meat and juices. Terrific ideas, thanks! And your photos look wonderful! Barbacoa Beef is what I always order at Chipotle. Having it at home would be marvelous. Making it with a crock pot even better. This recipe look super delicious! Oh this sounds awesome. My husband loves barbacoa! I’m all for year-round slow cooking. Oh wow! Doesn’t this look and sound amazing? I can’t wait to try this! I’m all about the slow cooker now that it’s fall (and now that I have this baby!) Thank you for sharing. What a great meal! This Texas girl always needs barbacoa! 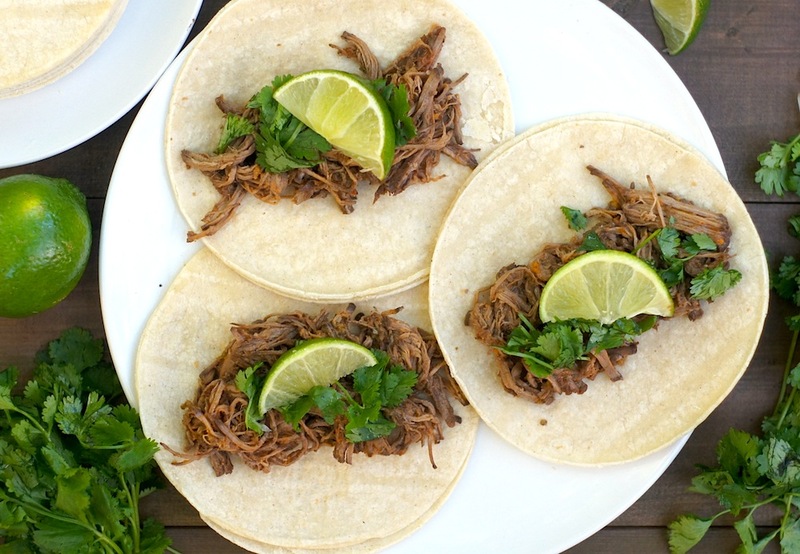 I’ve been looking for a slow-cooker barbacoa recipe and this one looks fantastic! I made this and it turned out surprisingly really good. (I’ve only started trying to teach myself to cook in the last month or so.. it hasn’t all been great. And for a variety of reason, I do a poor to moderate job of following directions.) I strained the leftover liquid and froze some of it in an ice cube tray. But since I know virtually nothing about kitchen affairs, is there anything you would suggest putting those little cubes in? I was thinking I’d try baking fish with it and maybe sauteed veggies but mostly because that’s all I normally cook! Love your blog and so many of your recipes, totally appreciate any and all tips you could throw my way!!! I was going to say I always make my very similar recipe in the pressure cooker. I was under the impression that pressure cookers can bring out the malliard effect in meas because of the temperature that it reaches. So i’d be curious to try it with the seared ox tail with chuck in the pressure cooker. Next post: Fearless Baby Update!